Luxury Link was introduced as a way for travelers to save a bit of money while traveling in style and comfort. 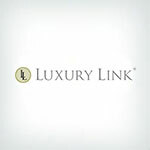 Based out of Ft. Lauderdale, Florida, Luxury Link was officially launched in 1997. Just under twenty years later, Luxury Link was purchased by Dunhill Vacations in 2015. Luxury Link was designed to help travelers book luxurious travel accommodations at a more affordable or discounted rate. They are partnered with the highest-rated hotels around the world and have access to over 3,000 "luxurious" properties for travelers to choose from in qualified destinations. Most of the hotel booking sites reviewed were designed to find the cheapest hotel rooms at a discounted rate. While Luxury Link also looks for "discounts," their platform is strictly designed to only find this information for the highest quality hotel rooms and accommodations. Luxury Link listings are often times exclusive and are comprised of some of the most unique travel experiences available. The Luxury Link properties include urban oases, opulent villas, wine-country cottages, and even Caribbean hammocks. Depending on the traveler's definition of "luxury," Luxury Link can help find the best rate for high-end properties and under-the-radar hideaways throughout the world. The Luxury Link platform utilizes the information from leading travel websites to guarantee the best rates on a number of room types and vacation packages. Additionally, travelers can upgrade and add-on to make their own dream vacation. In an effort to provide a more "lavish" experience for travelers, the Luxury Link properties include urban oases, opulent villas, wine-country cottages, and even Caribbean hammocks. Depending on the traveler's definition of "luxury," Luxury Link can help find the best rate for high-end properties and under-the-radar hideaways throughout the world. Members of the Luxury Link platform can receive added bonuses as well. Becoming a Luxury Link "insider" is easy and comes with added bonuses. Users will just need to provide Luxury Link with their email address and zip/postal code. Insiders will be among the first to see new Luxury Link properties. Features also include the ability to set travel preferences and save vacation inspiration. There are also exclusive rates and offers for those who subscribe. This is not a "rewards program." It is important to note the differentiation. Luxury Link does offer a "featured vacation" section where travelers can browse for vacation inspiration or book their next trip. This section will include the price per night as well as the number of days the traveler can stay for. When individuals travel to a new destination, the airfare and lodging is only part of the experience (some would argue not even the most important or memorable). Travelers can also book "travel experiences" using Luxury Link. These experiences can include anything from spa reservations to adventurous excursions in a remote area. Users can scroll through the list of travel experiences in their desired destination. This will also provide users with a better idea of what can be expected from their travel destination. For actual travel deals, travelers will need to navigate away from the Luxury Link page and use the Dunhill travel site. Luxury Link is solely focused on booking nightly reservations, not the entire vacation package. That means that travelers will not be able to book their flight accommodations through Luxury Link. While there is a membership program, that does not make up for a rewards/points system. It is also important to note that Luxury Link does not offer their own rewards programs for travelers who use their platform regularly. That means, travelers will not be able to earn additional points or bonuses for coming back and using the site to book their travel. Travel credit cards may be used to earn points on various airlines or with certain hotel chains.